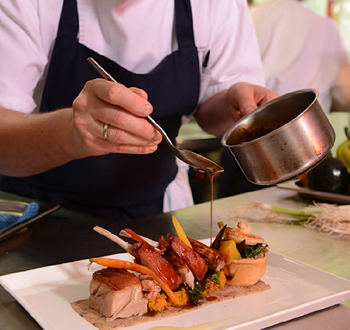 Our Head Chef Kuba Winkowski, has been named as the Craft Guild’s National Chef of the Year 2019, following in the footsteps of some of the most revered names in the industry. 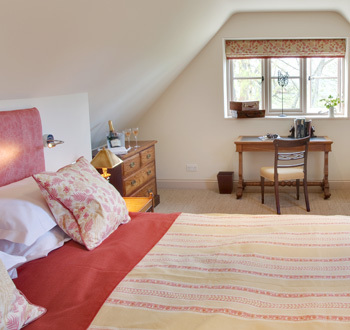 The Feathered Nest Country Inn, a country pub, restaurant and inn set in the picturesque village of Nether Westcote and nestled in the heart of the Cotswolds AONB with marvellous views over the Evenlode Valley, and just a few miles from Kingham station with links to Paddington. Originally an old Malthouse, the updated and thoughtfully refurbished Feathered Nest offers a cosy, warm and welcoming atmosphere, and serves as a convenient base from which to explore the quaint and charming villages, local attractions and rural surroundings. 3 AA Rosette award-winning modern British dining in our pub, restaurant or patio areas, with four beautifully decorated bedrooms, why not linger longer and visit this beautiful part of England. Be enchanted by the sights and sounds of this glorious countryside and feel the warmth of our hospitality. 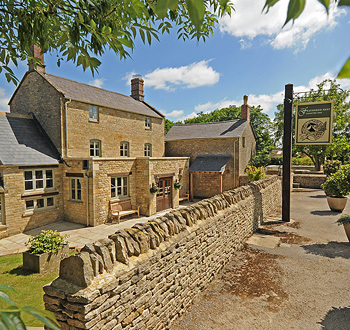 Editors Choice Awards 2015 – Gastro Pub Hotel of the Year award from the Good Hotel Guide.